This post has been read 909 times! Our reporting is catching the attention of local officials, it seems. 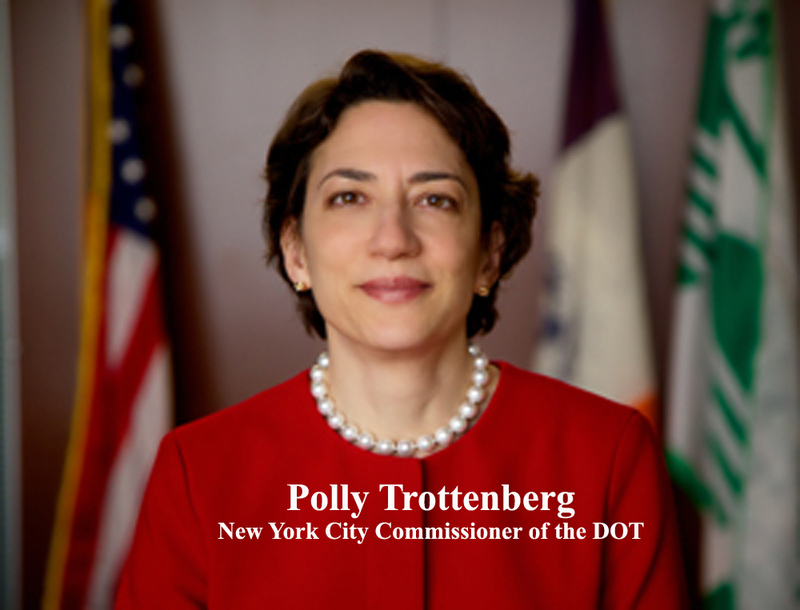 Unbeknownst to us, The Manhattan Borough President, Gale Brewer, wrote a letter to Polly Trottenberg, the city’s Commissioner of the DOT, in regards to our reports of dozens of abandoned bikes in front of El Vez and Shake Shack. 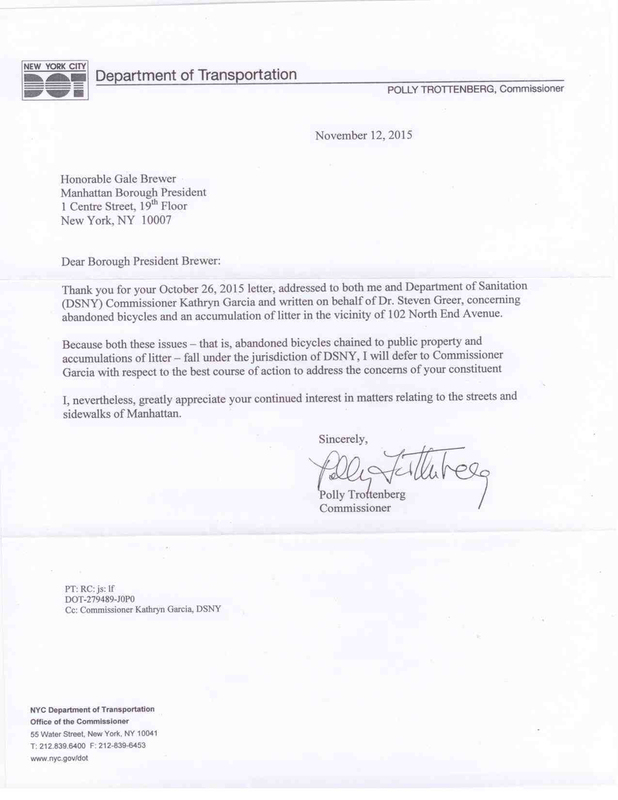 Commissioner Trottenberg wrote back that she was passing the buck to the sanitation department (see below). Trottenberg is also the one who has allowed the 24-hour construction over the weekends on Route 9a, also known as The West Side Highway. We wrote to her about that and were blown off. This entry was posted in - City government, - Downtown oversight, - Politics, Battery Park City and BPCA, Dangerous West Thames and South End Ave crossings, Gripes. Bookmark the permalink.